During all of these trips to Kansas, I've been getting familiar with the beers offered by two of the best breweries around Kansas City: Free State in Lawrence, KS and Boulevard in Kansas City. Both are ubiquitous out there, and since the brewery is a 5-minute drive that way, it's some of the freshest beer available. 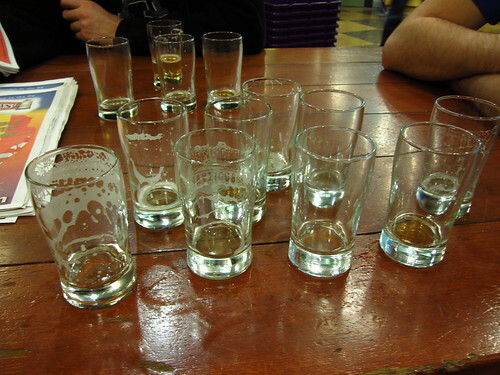 Before this last trip, I looked up the beer tours at Boulevard only to find out that it's just as bad as Anchor! You need reservations months in advance. Luckily, Kansas is awesome and got us spots on a tour even though it was fully booked. 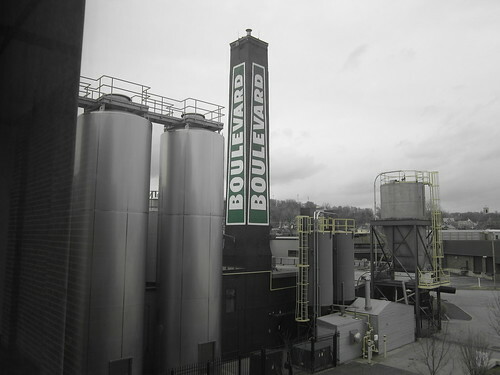 Prior to the tour, I wasn't aware that Boulevard was started by a homebrewer, John McDonald, 21 years ago. Yes, there's hope for all the homebrewers out there! Nor did I realize the depth of the line of beer they offer. Mostly I had been drinking their Porter and Unfiltered Wheat, but they have the "Smokestack Series" which is comprised of more complex niche beers. And they're spearheading recycling programs in the Kansas City area-the brewery prides itself on a zero-landfill policy, it backs a huge glass recycling program, and the newest addition were built with the environment in mind. The only culture shock I've had is the sheer lack of recycling done out in the Midwest, so it's good to know that a major company is raising awareness. The tour is extensive, you see most of the brewery in the first hour. Then you have the tasting. You get to taste four kinds, about 8 oz each. Though it's not as much as I've had before, you do get to taste private test batches. 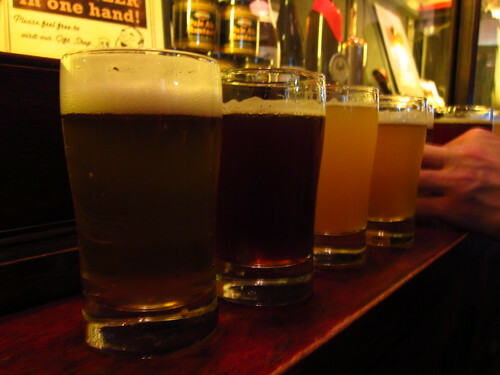 The day we went there were three testers to taste: a dry-hopped unfiltered wheat, a Belgian tripel, and a double IPA. For my fourth glass, I went for the Tank 7, the saison from their Smokestack Series. All of us LOVED the dry-hopped unfiltered wheat, one of Kansas' friends described it best as sweet wheat juice. The dry-hopping doesn't add any bitterness, but a more delicate hoppy aroma and oils. If they ever decided to sell this variety, we'd all be on line to buy some. With experiments like these, they're definitely going to be Missouri's best brewery for a long time to come. 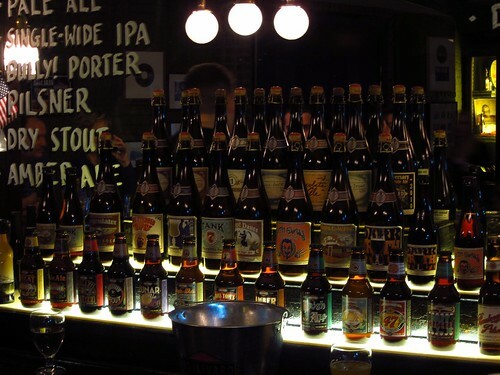 I always make an effort to try the local beer wherever and I go and Boulevard was a refreshing treat. Pairs perfect with some big ol' KC ribs!